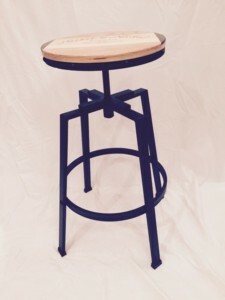 The Adjustable Height Swivel Stool in Oil Rubbed Bronze has a modern design that combines metal and wood to fuse the industrial-chic look with a rich and classic counter stool. 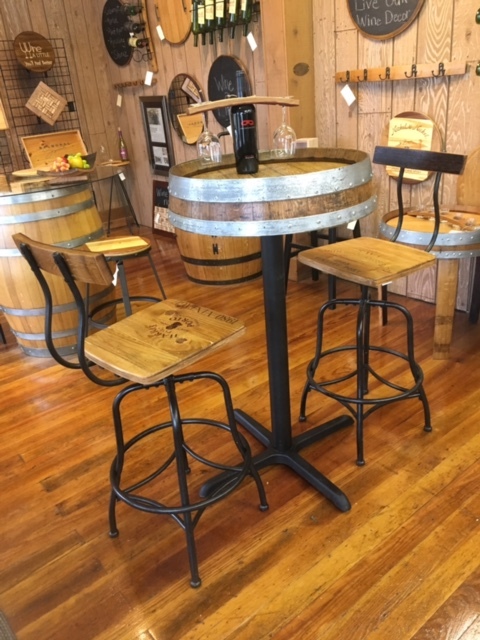 This versatile wood barstools height is easy to adjust from counter height to bar height by winding the seat up or down. 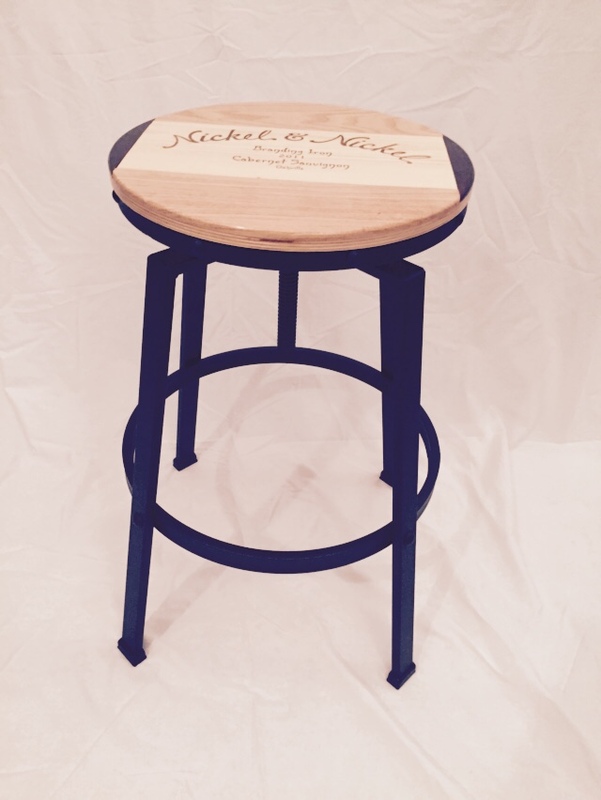 The stool seats are handmade using genuine upcycled wooden wine crates from renowned wineries world-wide and matched accent panels. 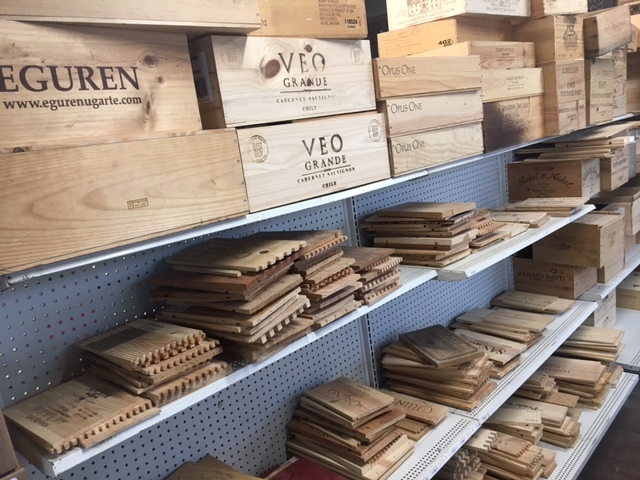 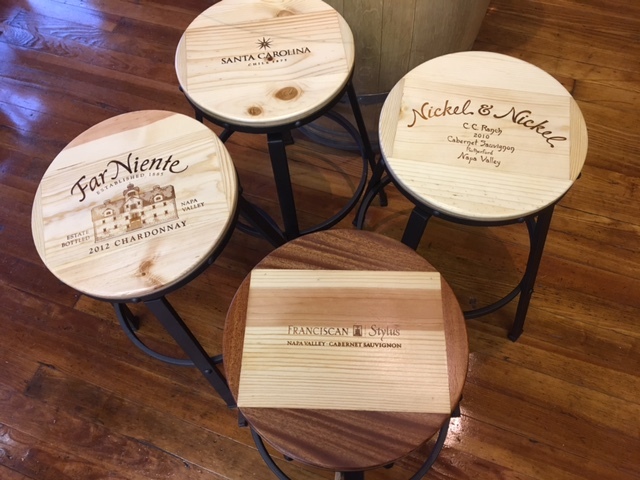 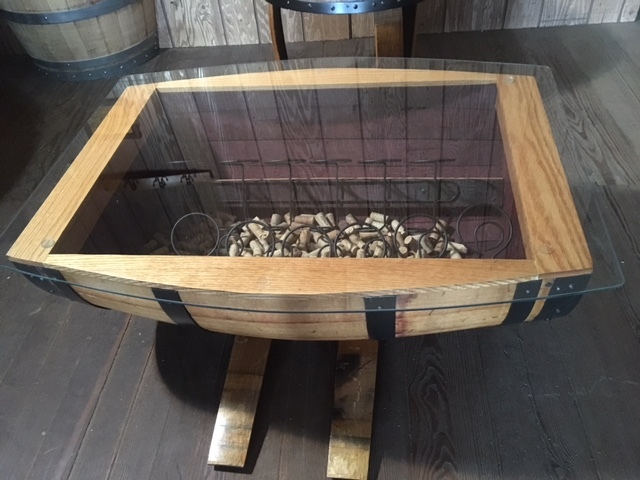 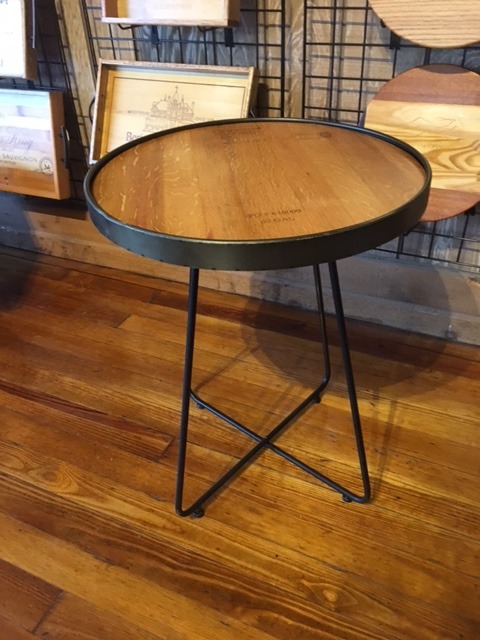 Each stool seat is unique and features the original markings of an actual wine crate used to ship wine worldwide. 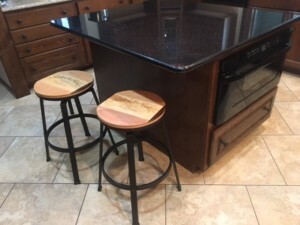 We use a cabinet grade satin finish to bring years of beauty to your Adjustable Height Swivel Stool . The stool you receive may vary from the photo. 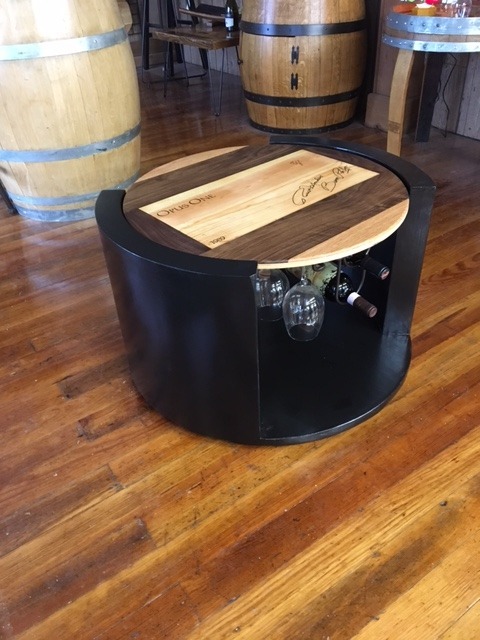 If you would like a panel from a specific winery please contact us to check availability. 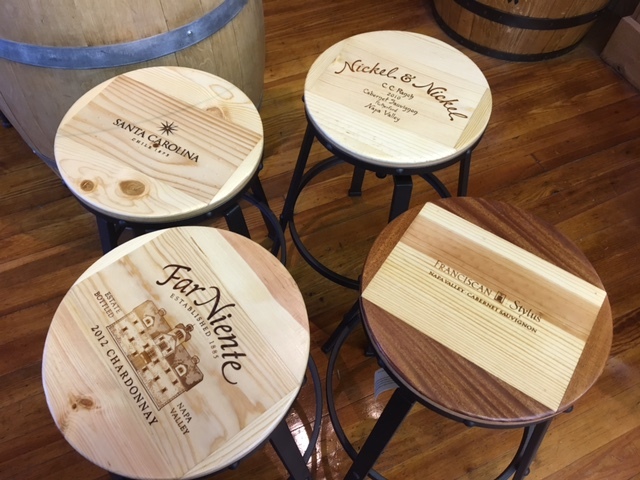 We have several hundred panels to choose from and would be happy to create a custom stool for you. 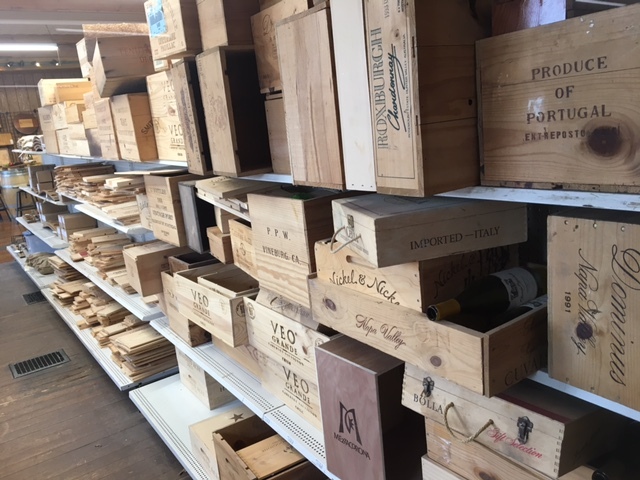 As our wine crates were used in commerce they all bear distinct markings and no two crate panels are alike.